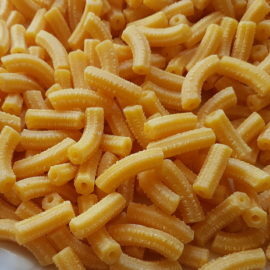 I think gigli or campanelle pasta is among the prettiest looking pasta types! 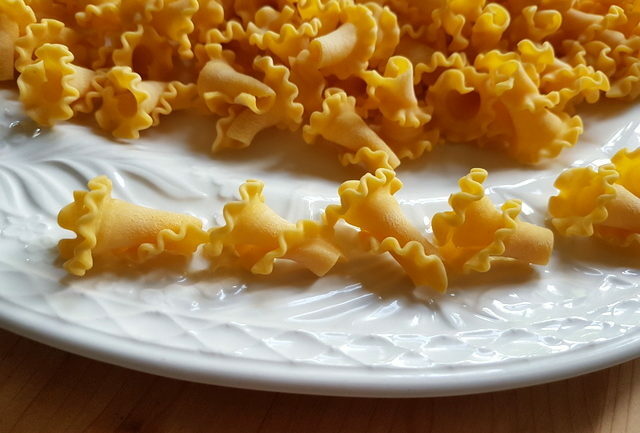 Each piece of this pasta is shaped like a cone with ruffled edges. In Italian ‘campanelle’ means bell flowers or little bells. Here in Italy it is also known as ‘riccioli’ meaning curls. 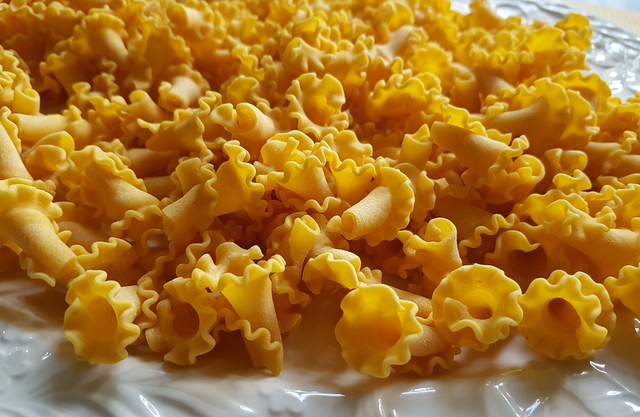 However, the more common name for this pasta in Italy is gigli, which is the Italian word for lilies. 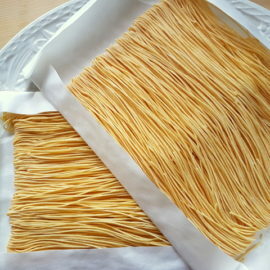 Although disputed by some, gigli pasta is said to originate from Tuscany. 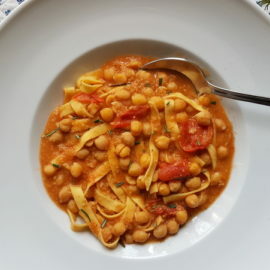 In fact, many Italian recipes for this pasta refer to it as ‘gigli toscani’. Certainly, there are a number of Tuscan pasta makers who claim gigli as a typical pasta from the region. This is because the lily is the emblem of Florence and has been part of the city’s coat of arms for around one thousand years! 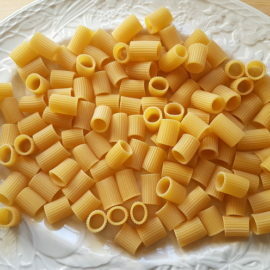 There are also other connections to lilies in Tuscany which may have inspired the name of this pasta. The founder of Florence was Florinus da Cellino. In Latin, ‘florentia ’means flowering and there is also a small Tuscan island off the coast of Grosseto province called Isola del Giglio (Lily Island). 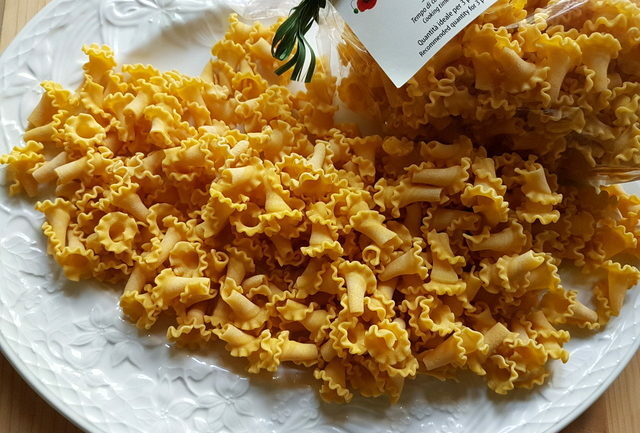 Unfortunately, despite its popularity outside of Italy, gigli or campanelle pasta isn’t widely available here in Veneto. My local supermarkets don’t stock it, even though most of the big pasta producers like Barilla, De Cecco and La Molisana make it. They mostly market this pasta as campanelle and it seems that they produce it more for export. However, there are quite a number of small Italian artisan pasta makers that sell gigli online and I get it that way. Recipes with gigli or campanelle pasta. Although gigli pasta is served in Tuscany in typical regional recipes such as with venison ragu, it’s also a very popular pasta partner for creamy sauces and vegetable based sauces. I’ve found a lot of recipes for gigli with different leaf vegetables and speck or pancetta. It is also a great pasta for baked pasta recipes. 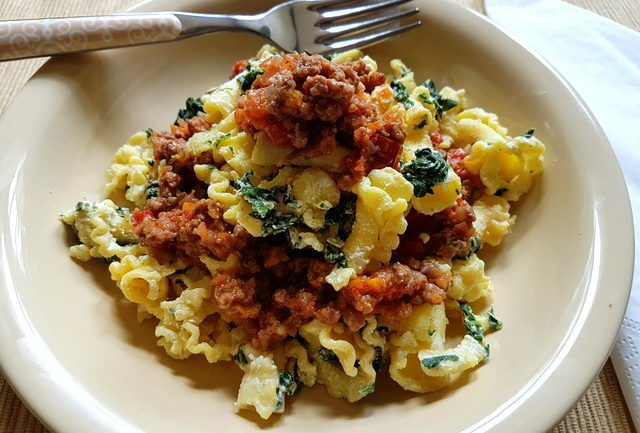 The first recipe I have posted here for gigli pasta is a typical Tuscan recipe called ‘pasta tordellata’ a delicious combination of meat ragu, Swiss chard and ricotta. This recipe is a deconstructed version of a filled pasta recipe called tortelli Maremmani from the Maremma area of Tuscany. In ‘pasta tordellata’ the filling which is normally on the inside of the pasta is served over the pasta instead, along with a meat ragu. Definitely a recipe to try! what a beautiful pasta! 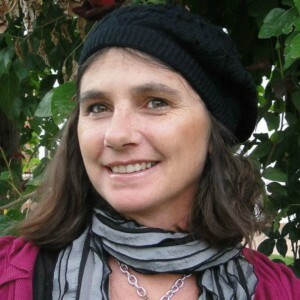 I’ll have ot look for it next time i go to the market – i’d love to try it!